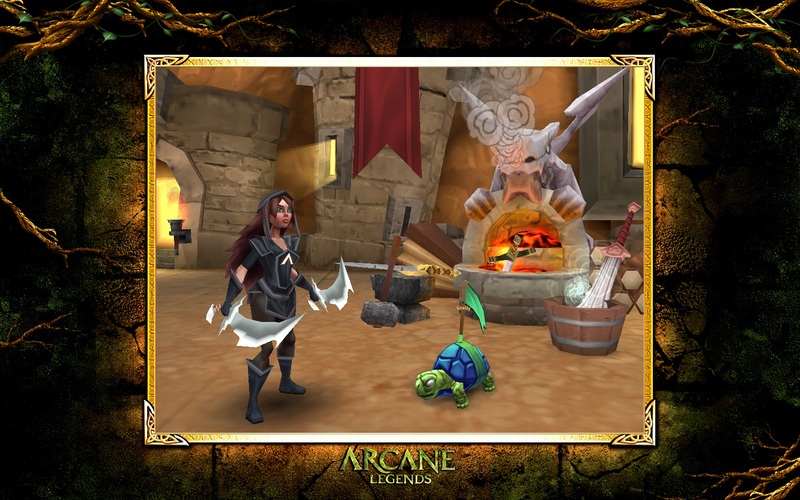 Arcane Legends is a 3D browser based fantasy MMORPG from SpaceTime Studios. 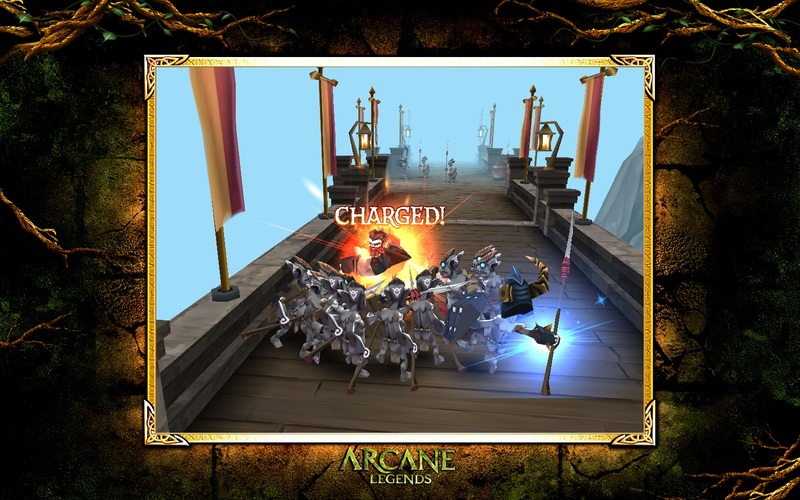 Unlike traditional browser MMORPGS, Arcane Legends is also available on IOS and Android devices such as the Iphone/Ipad and Android supported tablets and phones. This allows for cross platform play without the need for a separate account making it easier for players to play on the go. 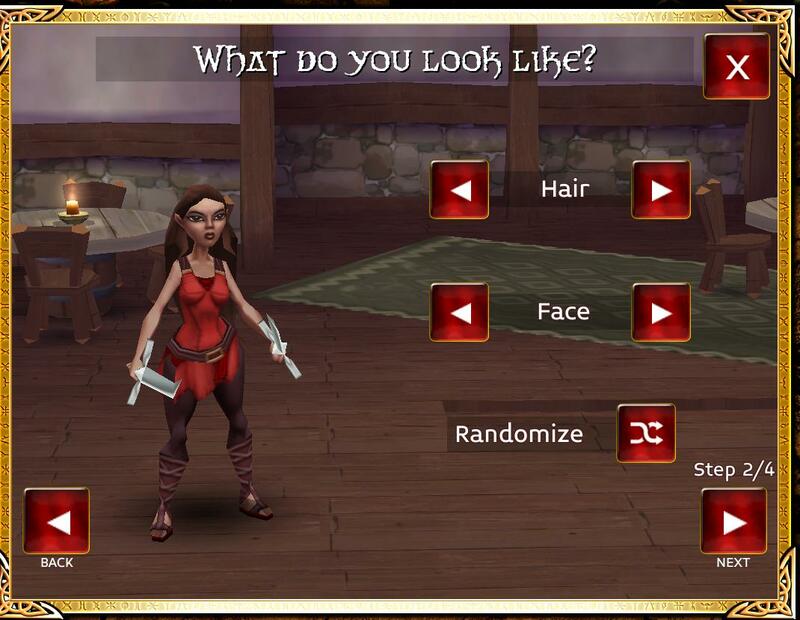 At the start of the game players will choose from one of three classes including the Warrior, Rogue, and Sorcerer. 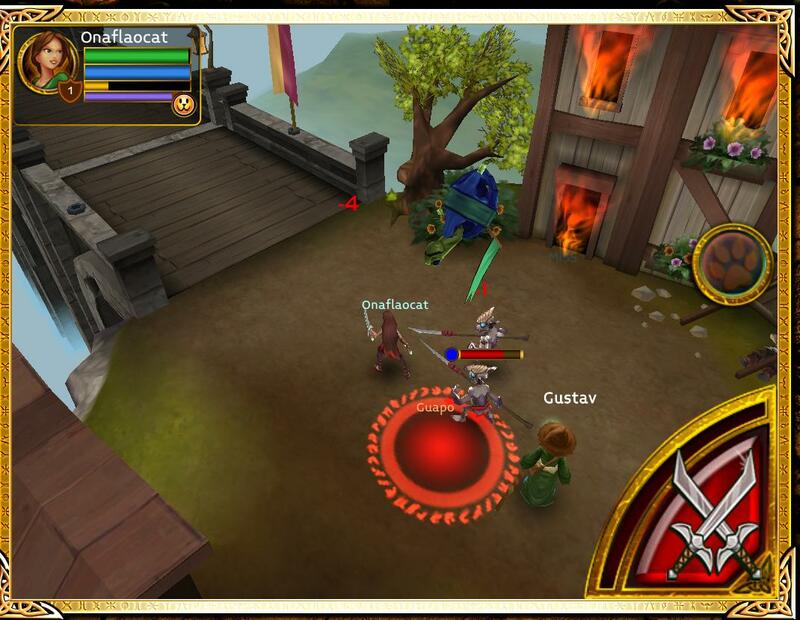 As players progress, each of these classes will unlock multiple abilities which can be specialized in order to customize a players preferred playstyle and spell choice. 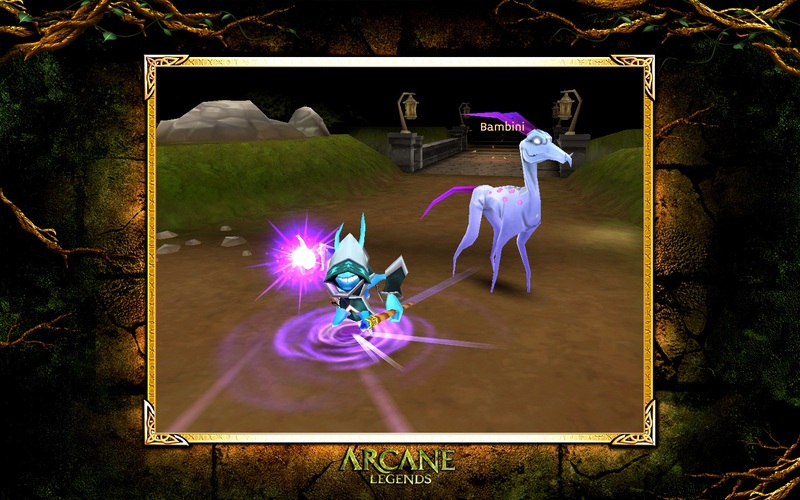 There are no auto attacks in Arcane Legends. 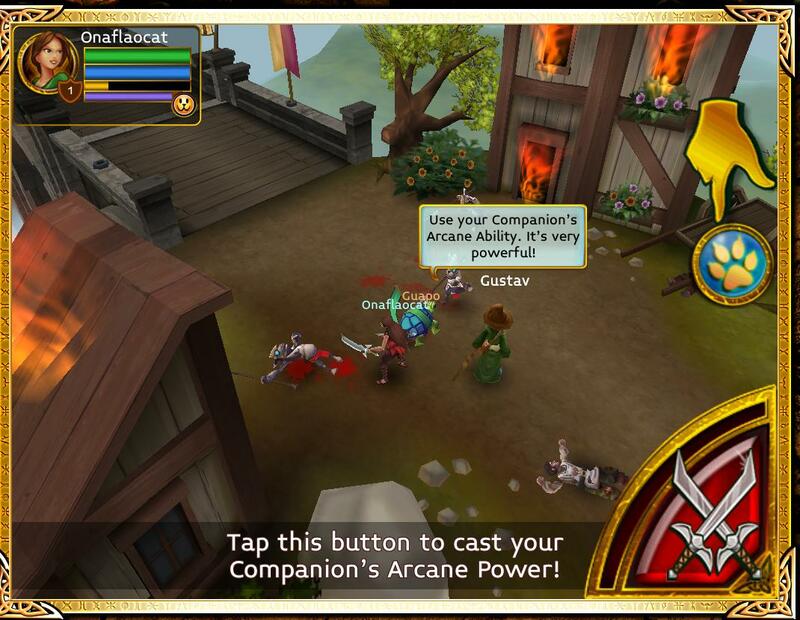 The game instead utilizes a more action RPG system whereby players must tap or hold the attack button in order to perform a series of fast attacks or a single more powerful charged attacked. 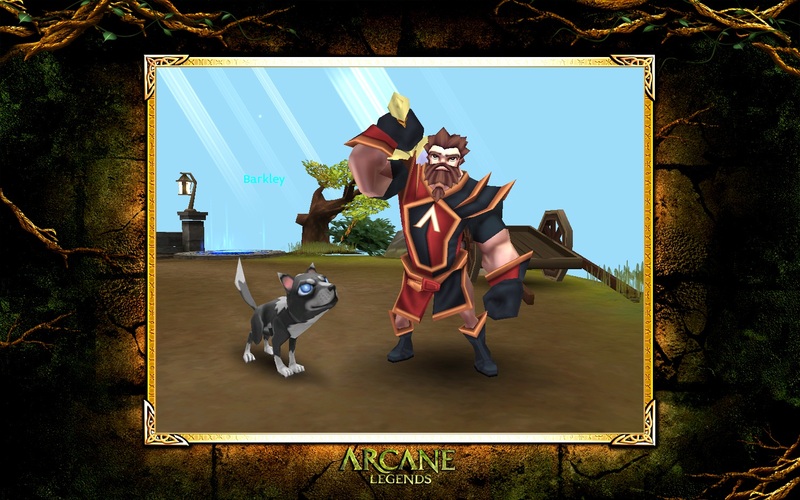 Players will also be able to choose a pet at the start of the game, which follows the player around and comes with their own unique attributes and abilities. Players won’t have to collect their own dropped loot as their trusty pet will do so for them. The game features over 40 unique pets for players to collect throughout their journey. Play on the go with IOS/Android support. A couple days into this game and have yet to find support, a MOD, or anything of the sorts. Childish graphics like it’s made for 12 yrs olds. OVER PRICED is putting it mildly for in-game purchases. Claims it’s an American made game out of Texas I think it was yet the Game Clock is GMT and not any US time. Probably some fairly recent college graduates created and threw out hoping to make a quick buck. * I don’t know about this game, a couple hours in and not much help. Lord only knows how to get in touch with a MOD. * Can’t find a guild list anywhere or even information on how to join one, what level you need to be to join one. But makes sure to give you the options to spend to start one. * Presses you for money from the start with some egg guy that keeps getting in the way of battles every time you turn around. * Spamming system messages constantly in the chat and so it’s difficult to keep up with messages for you own actions when playing. * Not much help if any for what symbol meanings. Game lags and has a high ping. The game is HEAVILY pay to win. Start it at your own peril – and know that just spending a small amount will get you nowhere. On the other hand if you have a spare few thousand dollars to blow on a game…. it’ will of course be super fun. Sorry i cant download games in here cause this laptop is for work and wachting if this lapatop is broken we will never get youtube o tv or do works.Pls make it on no download. Soo i can play this game thank you!!!!. I play AL on iphone5,but it’s so lag……don’t know why. Dose any one like me? it’s say you have to update your chrome to V.22 . . but i have V.26 what’s wrong ? This game is one of the few that can be played cross platform. In other words, I was able to play it on my iPhone, iPad, and my Mac and pick up right where I left off. It does have some in game purchases but they are not required to win the game. Overall, I found it fun to play solo or in groups. My only real complaints: The music is annoying, and the daily quests are stupid, easy, and pointless. There have already been 2 large expansion to the game which have different themes, new challenges, and like the main game have plenty of loot drops. All in all its a good hack n’ slash game with optional co-op, lots of loot, and plenty of quests. I have taken a break from it to focus on a few other things, but plan to be back soon. i cant play it on Laptop.. its for GOOGLE chrome only.. my BROWSER is MOZILLA FIREFOX.. SO SADD!!! it says! Disconnected from server!! Repeated 10x. i refresh my browser i restart my laptop..
disconeccted again !! WTF !! Firefox? The 2000s are calling, they want their browser back. it’s a nice game for android phone’s. Its some kind of nice android like game. I like it i played it.